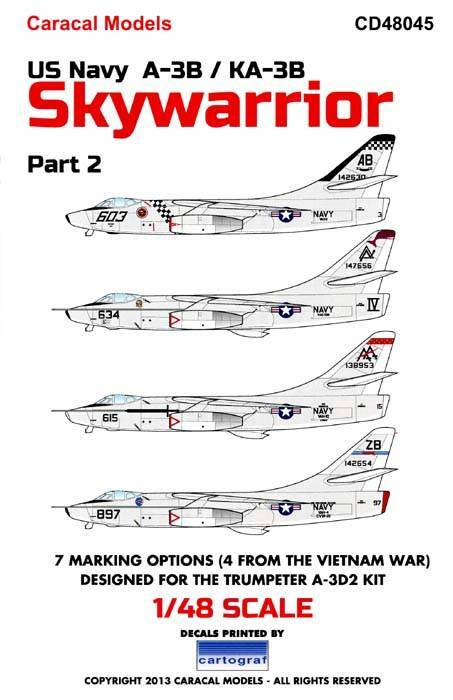 with particular emphasis on its Vietnam War service. 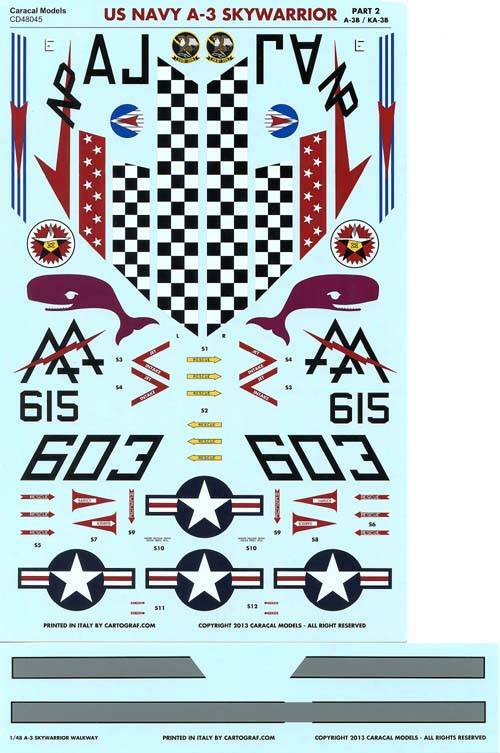 The second installment of A-3 decals from Caracal Models features 7 options for A-3B / KA-3B Skywarriors, including several Vietnam War-era aircraft. 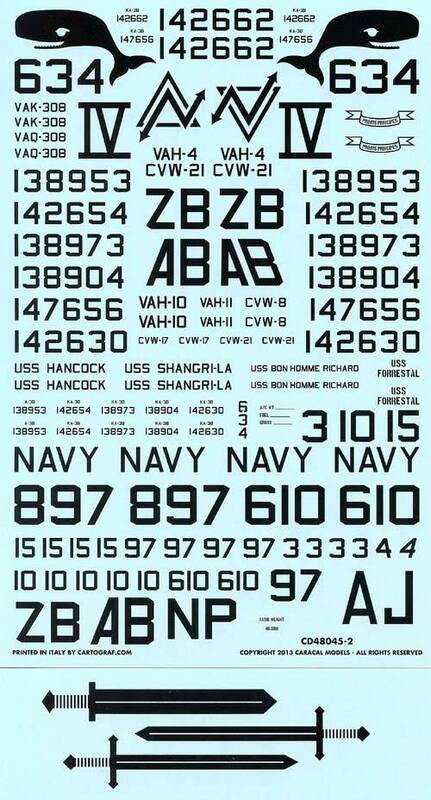 Our second decal sheet for the new 1/48 Trumpeter A3D-2 kit is centered on the A-3B / KA-3B bomber/tanker variants of the Skywarrior, with particular emphasis on its Vietnam War service.